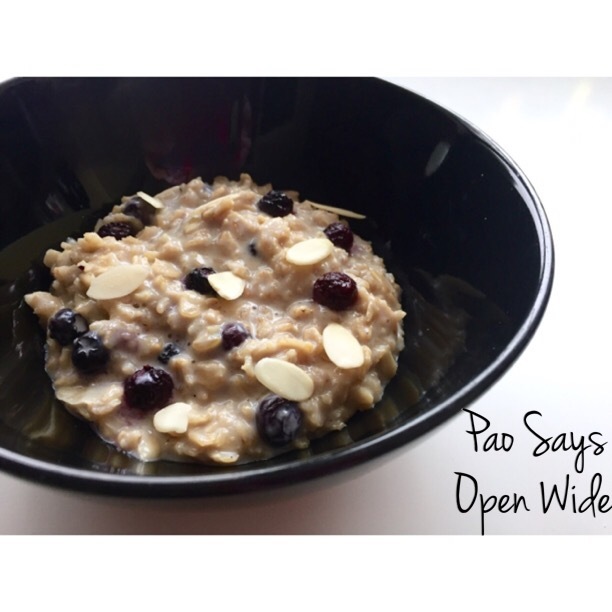 Warming up: Blueberry-Almond Oatmeal – Pao Says, "Open Wide!" Mix the vanilla and almond extract into the milk. Add the oats and cook according to package instructions. Add in the brown sugar, almonds, butter, pinch of salt, and blueberries. Voila! You now have a delicious, easy, and oh so warm breakfast. Stay warm!! Love the butter. Gives the recipe an interesting twist!